Her new-age brands and people policies are transforming the company. Nisaba Godrej, the Executive Chairperson of the Rs 10,000 crore Godrej Consumer Products, has been trying hard to change the over-100-year-old conglomerate's old-economy image to a contemporary and vibrant one whose products appeal to the millennials. And she is not doing it by launching new variants of the soap that her company has been making since 1918. The categories she has entered are undoubtedly extensions of the company's traditional personal wash and hair colour businesses, but now they cater to the new-age consumers. Be it creme-based hair colours, a wide range of salon hair products under the B-Blunt brand or the Goodknight Fabric Roll-on, Nisaba has ensured that her brands would resonate with the current generation. But brand innovation is just one part of the transformation story. Nisaba is also ushering in a huge culture change by attracting young talent. 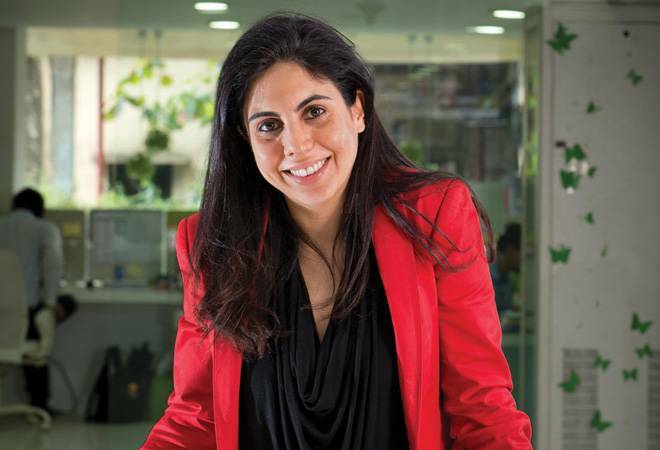 Working as the HR head of Godrej Industries since 2009, she has been pitching her non-hierarchical set-up that enables quick business decisions and faster growth opportunities - a stark contrast to the existing MNC culture of top-down format and global diktats. Her strategy worked and she got senior professionals on board. For instance, Nisaba hired Bain & Company Partner Vivek Gambhir as the Chief Strategy Officer in 2009. Gambhir is now MD of the company, which once again proves the success of Nisaba's makeover bid.